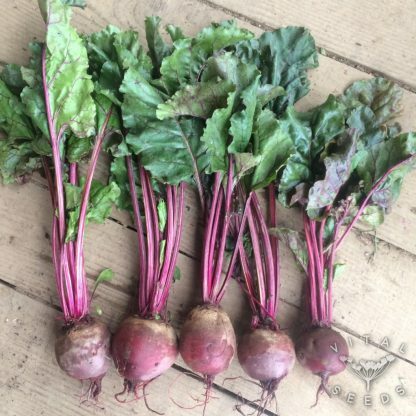 Reliable maincrop beetroot producing large globe-shaped red roots. This is a classic variety, having proved itself since 1892 when it was introduced by the D.M. Ferry Seed Company, in Michigan, USA! It is reliable and high-yielding and remains a favourite with gardeners and growers to this day. 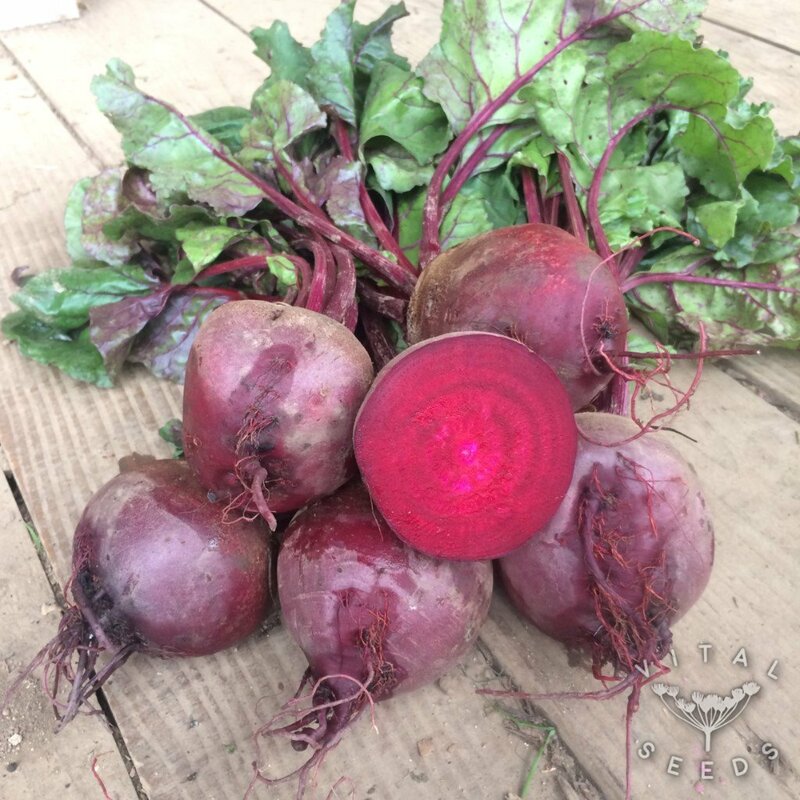 The large, globe-shaped beets have the typical beetroot colour and an excellent flavour which makes it perfect for baking, sautéing, grating into salads, pickling and anything else that you might want to do with a beetroot. Yes, it will also store well! The green and red-veined leaves can be used like spinach and are equally tasty.